Discussion in 'Article Discussion' started by bit-tech, 4 May 2018. They still haven't found the secret to mass producing black plastic though. Impatience and MLyons like this. £30 a fan is par for the course with Noctus. But £10 for a plastic adapter plate? Fuuuuck that. Yep, want quality? then we have to pay for it - for a fan that for many will last several builds. But if they're saying that a plastic adaptor has over a third of the R&D, engineering, material cost and packaging as the fans, then no, just no. To be fair, tucked in the description for the NA-SFMA1 is that it includes two bits of single-shot-moulded plastic. So it's only £5 for a single lump of plastic. adidan and MLyons like this. There are the issues of over-engineering for the sake of it and diminishing returns to consider though, because the existing Noctua fans are already extremely good. MLyons and Mr_Mistoffelees like this. Did you read the article? The low CoE was sought so they could reduce clearance between blade and frame, not as an end in itself. Had I not read the article I wouldn't have known about the low CoE plastic but, hey-ho. 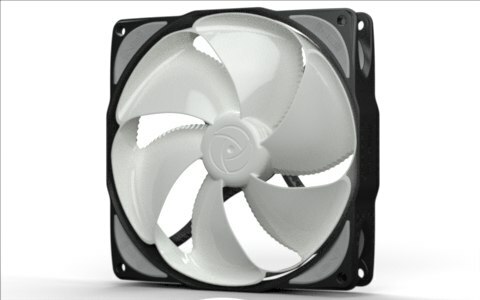 BTW, my Fractal Design Silent Series R3 140mm fans do a fine job with minimal noise and cost me around £9 each, early last year. Inefficiency, due to excessive clearance betwixt fan and frame, doesn't seem to be a problem. Don't get sucked-in by too much marketing speak. If reducing the clearance between the blade and frame is such a big deal, why not integrate the outer ring into the blades and have it spin? I'm sure there is some kind of aerodynamic effect that would makeit pointless, plus balancing the outer ring would probably mean some kind of post mould machine cutting too, but it would look dope AF, so I want it. I will pay extra for fans that don't. Isn't that the thought process behind these? Never seen those before, definitely want. They're Noiseblocker NB-eLoop fans and can be had from here. They are, iirc, well regarded.